TURIN -- Gianni Coda, the veteran executive named to lead Fiat S.p.A.'s money-losing operations in Europe inherits lot of problems. On the product side, CEO Sergio Marchionne's freeze on investments since the second half of 2008 kept Fiat Auto in the black during the economic crisis, but Fiat has lost sales and market share in Europe. In the first half, Fiat's EU sales including the Lancia and Alfa Romeo brands were down nearly 13 percent to 522,000 with market share dropping to 7.3 percent from 8.2 percent a year earlier, according to industry association ACEA. The decline is set to continue because Fiat passenger-car brand will not begin a big product offensive until 2013 when the Punto subcompact and Bravo compact cars are replaced. A new version of the Panda minicar comes next year. Lancia, whose sales fell 13.7 percent to just over 52,000 in the first half, may fare better. The brand has just started sales of the new generation of its best seller, the Ypsilon subcompact, while later this year it will begin distributing in Europe low-volume, rebadged versions of Chrysler's 300 large sedan and Voyager large minivan. However, Marchionne's target to triple sales to 300,000 units in just three years looks a giant challenge. Alfa Romeo is the true black hole in Marchionne's targets, which call for the brand to boost sales to 500,000 units in 2014 from 112,000 last year. In an extremely competitive European market that will remain flat at best for the rest of the year, Coda will have a tough time to stem Fiat's financial losses in Europe due to the heavy incentives required to move an aging product range. Fiat doesn't breakdown results by region, but the company lost about 1 billion euros last year in Europe, according to Max Warburton, a London-based analyst at Sanford C. Bernstein. Coda: "The worst decision is to postpone a decision." Coda will have talented executives to help him. 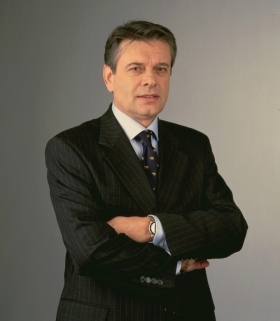 Frenchman Oliver Francois moves to head Fiat brand from his post as CEO of Chrysler-Lancia. Harald Wester, a German native, retains oversight of the Alfa and Maserati in addition to his job as chief technology officer. On the manufacturing side, Marchionne has promised to double passenger-car production in Italy to 1.4 million units in 2014 from 650,000 in the past two years, but is battling unions in Italy to win concessions to boost productivity at the company's Italian factories. Coda's appointment looks like an acknowledgment that the clash between Marchionne and unions has now gone - particularly with one key union, the CGIL - too far and is now too personal to repair. With sales tumbling, morale among Fiat's dealer is low. 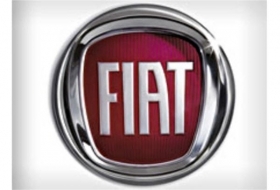 In addition, Fiat has just began a significant downsizing of its bloated domestic dealer network and is also planning a radical overhaul of its European network. But Coda, 63, may be the right man for the challenge and he has been called in by Fiat to rescue troubled divisions before. From 1999 to 2002, he led Fiat's Latin American operations, helping to turn it into a huge profits earner for the company. His success led to a recall to Turin in February 2002, to restructure Fiat's largest business unit covering Fiat cars, light vans and Lancia when the entire company was on the verge to collapse. Coda was put by Marchionne in charge of purchasing for Fiat Auto in July 2006 and for the entire group in March 2008. Coda is the only old-guard executive still in charge at Fiat since Marchionne took over as CEO in June 2004. The two men have a strong relationship and Coda one of the very few executives who Marchionne calls by name, while the CEO uses only the surname for most of his 25 direct reports at Fiat. Coda is a fast-talking, chain-smoking who had worked in many of the Fiat's conglomerate sectors, from earth-moving equipment to head of Brazil, from farm equipment to trains. Born in Azeglio, a small town east of Turin, Coda graduated in mechanical engineering from Turin Polytechnic, a training ground for many Italian auto executives. He joined Fiat in 1979. He keeps his office door wide open, encouraging his people to walk in, discuss a problem and leave with a decision made. He loves speed. "The worst decision is to postpone a decision," Coda said in an interview with Automotive News Europe in late 2007. Even a wrong decision can have a positive side. "You won't make the same mistake again," he said.